It comes after two days of industrial action. RTÉ has confirmed that the nurses dispute has been suspended. In the Labour Court this evening, a recommendation was to be made about the ongoing strike action, as three days of industrial action was supposed to take place tomorrow. 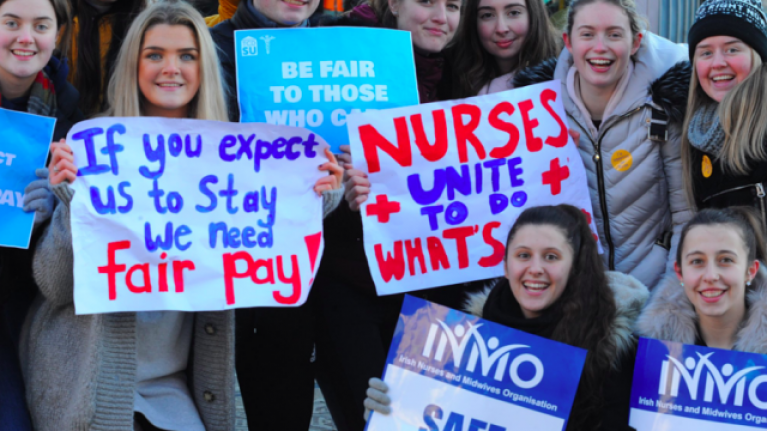 Irish Nurses and Midwives Organisation General Secretary Phil Ní Sheaghdha said that she was grateful to the Labour Court for their time.